Aeron API was under development since the early days of the project. At present, pilots interact to Aeron platform and record flight logs via Aeron Pilot mobile applications, and general public interacts via web portal at https://aerotrips.com. With API launch, all stakeholders are enabled with convenient methods of automated interaction to Aeron. That includes aviation companies, flight schools and aviation authorities. Welcome to the Aeron API at https://api.aeron.com! 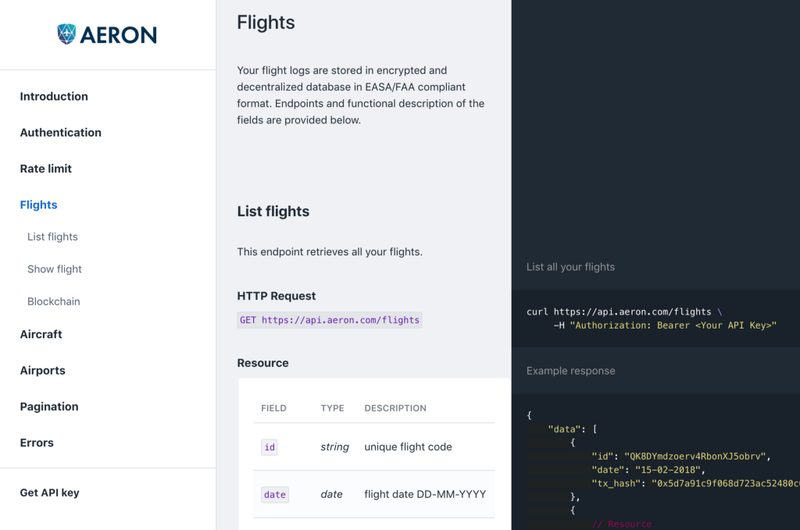 This simple RESTful API will help to integrate flight data into business or applications. API reference provides information on available endpoints and how to interact with them. Code examples are also published in snippets. Comments from the community to add functionality and enhance API are welcome! With this important milestone completed, Aeron team will further focus on Aeron Pilot applications to be updated to v1.6 early next year. New features are in the works. Aeron’s sub-project — CryptoBonusMiles (CBM), a universal bonus miles platform, is under active development as well. With the recent airdrop supported by Binance, CBM utility tokens have been distributed to the wide audience, to bootstrap the platform and build the vibrant community around CryptoBonusMiles initiative. With upcoming CryptoBonusMiles launch, Aeron opens up to bring benefit to anyone who flies, including passengers of commercial airlines. Look out for the announcements to get crypto rewards and take participation in the major airline loyalty programs.